With a pair of well-received, commercially viable albums in the shape of 2013's Bloodsports and 2015's Night Thoughts, London's often overlooked glam antidote to Britpop have turned what looked like a brief and beautiful comeback into an ongoing concern. On The Blue Hour, vocalist Brett Anderson unashamedly leads his band through epic orchestral peaks, chanted drone, fan-servicing delves into the glittering gutter and, of course, a handful of sleek, sweeping tunes that explode with drama and romantic tension with uneven but bold results. 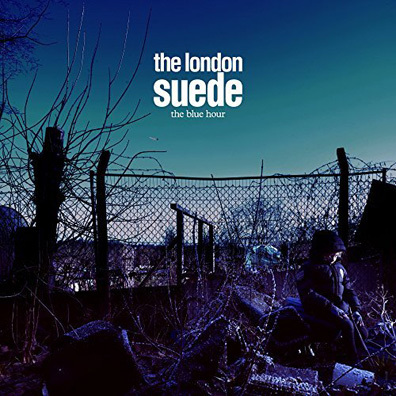 Far-removed from their early '90s halcyon days when Anderson's glorious androgyny and ex-guitarist Bernard Butler's riffing heroism separated them from the pack, Suede now find themselves mature, measured, and accomplished. This is not necessarily a negative—songs like "Wastelands" offer anthemic talk of escape, while "Cold Hands" proffers a Manic Street Preachers-like riff leading into a swooping, enveloping melody that can't help but arouse. What's most interesting is when the band break into the baroque, Scott Walker-ish territory of the bizarre "Roadkill," a mesmeric, half-spoken moment, and opener "As One" replete with Gregorian chanting, orchestra, and bold melodrama ("Here I am talking to a shadow/ Head in my hands") akin to Dog Man Star's opener "Introducing the Band." While the album drifts in the second half, with "Don't Be Afraid If Nobody Loves You" sounding rote at best and "Tides" feeling epic-by-numbers, it does close extremely strongly with the double header of "All the Wild Places" and "The Invisibles" a seamless pairing of textured, high-wire romance and nostalgia, luxuriating in awkward gorgeousness all capped off by "Flytipping" which, like all Suede songs should, takes place "just by the hard shoulder."